I probably have about two people who still check my blog after such a long absence, but it was much needed time to be still with the Lord and love on and be loved by dear friends and family. The last two weeks have been a whirlwind. I cannot describe the blessing that took place on July 17th at our dinner. It could not have been more God-orchestrated. From the songs that were sung to the words that were spoken and the people who filled the room to listen to God's heart for the orphan, perfect. Thank you to everyone who played a part, helped set up, made center pieces, sewed table cloths, brought me coffee, prayed for me in the bathroom ;), prayed in general, came from near and far, sponsored a table, sponsored a child, I could go on and on. I am still in awe and praising Jesus for my fantastic board who made this possible and ensured that almost all the work was done before I got home, leaving me with nothing to worry about!!! I am amazed by God's grace. I fully believe and understand that satan hates the work that Amazima Ministries is doing in Uganda. I see it all the time. The closer and closer we get to the center of God's will for our lives, the harder he tried to discourage, lie, destroy. Like I said, Friday night was phenomenal. People heard God's heart spoken, people were brought to tears, I believe people were changed. Not to mentioned that funds were raised that will keep our program running for a little bit longer. Shingles are probably just his way of letting me know he is not happy, but if he thought pain was going to keep me away from my children he was wrong again. But I continue to be in awe of the Lord's hedge of protection around me, no doubt due in part to all o f your prayers. But the plans of the Lord stand firm forever and the purposes of his heart through all generations. The angel of the Lord encamps around those who fear him. I am not sure that shingles could be considered a blessing, but I could never think of a more perfect time for them to occur. A week earlier I would have been unable to help set up for the fundraiser, help with the little last minute details, and I definitely wouldn't have been able to speak. A week later I would have been back in Uganda, without very adequate medical care, and I'm not sure we ever would have figured out what it was. All this said. If shingles is what it takes to remind me of His fantastic plan and the angels He has encamped all around me and my family and this ministry... then bring it on. Being home is relieving and peaceful and wonderful. How beautiful it was to jump into 40 waiting pairs of arms (yes, all the neighbors were here too...) as they screamed and danced and jumped "Mommy". There truly is no greater job :) From the minute I got here we have been busy. Sick children, Karamajong children with what seems like a hundred jiggers in their feet, birthday parties, meetings, and the list goes on. I am happy and I am full. ahhhh, I have been checking nearly everyday! I found your blog just a few weeks ago and have been truly moved and inspired! I am in awe! I really cannot express it, I know taht in all your work it is God's strength that makes it all come together and happen. Thank you for allowing me to "know" your family and the opportunity to pray for you all in Uganda! Oh and thank you for inspiring me to do what God has called me to do! You are a jewel Katie and I have no doubt that your heavenly Father is so very pleased and gratified as he polishes you and you keep shining for HIM! I sit here with tears of joy in my eyes knowing you are home safe! I sit here praising Him that your faith has strengthened and your resolve to be in the center of His will is even greater now! Thanking God for the timing of the shingles and that it is well with your soul! Thanking God for the blessing waiting for you and praying that the coming days will become a sweet routine once again! Know that I do care and read every word you share - with joy and hope and love! You are always on our hearts and we printed out the picture of you and your 13 daughters that Renee posted to pray over! We are sorry that we couldn't be with you while in the states with Gwen. One day my friend - we will sit at the banquet table together! Be encouraged and of good cheer! Katie!! I'm so glad you're back. I am sorry you had to endure the pain of shingles, but glad you are well and able to keep it all in perspective. I know all of your babies are happy to have you back in their arms. I still check your blog EVERY DAY...despite your absence! Boo to your shingles- but you're such a trooper and Jesus is SO proud of you (as am I)! Katie-I looked through the pics of that night on your FB account and it looked incredible! Praise God for all He did that night and continues to do through you. Our family is on a journey heading towards Kitale, Kenya with our small boys next year. I really relate to your testimony to God's provision in, what seems to be, impossible situations. Looking forward to following you in adventures to come! I've never seriously followed any soap opera... but the suspense in waiting for your updates... (or just sharing the life stories of other dear Godly women I know), has GOT TO BE FAR BETTER than any soap!! I doubt that any tv show will ever keep me hooked like any story I can follow about GOD IN ACTION. Lord, use me too!! Come what may Lord, be glorified in me too! God bless you and your sweet children and ministry. Praying for you here in Lebanon, TN, and spreading the word of your ministry. Love the clock feature ... what time it is in Uganda. Yeah, I get to be the first on your blog to say WELCOME BACK!!!!!! Have been praying for a peaceful rest. Sorry to hear about your shingles- painful!!! So GLAD to hear you are back with your kids. I am sure that even though struggles happen....at least you have them to look at and think- Beautiful! Praying for you all!!! Spiritual Battles happen with us as well- when you are following God- satan hates you (YEAH!!!!) That is when you know you have to depend on God, and you have to keep doing what you are doing!!!! Praise God for you and your ministry!!! So happy to hear you are back home safe and sound. I am new to your ministry and I look forward to supporting your children and praying for your ministry. My daughter and I have been making dolls to send this fall. Have a wonderful weekend. I am sure there are still thousands reading!! Hope you feel better soon and you can get back into the swing of all you do soon! Praise the Lord for your safe return home! I'm so glad you had a good time in the states. I just wanted to let you know that your story in general has so blessed me, and I was at a girls' conference headed up by Leslie Ludy (an amazing Christian author, orphan advocate, mother, and...my "boss". I nanny for their kids--two of whom are adopted) and she had heard me talk about your story, and asked me to share it with the girls. I got up and shared as much of your story as I could to a crowd of 200+ girls. They were all so blessed and inspired! This is all to lead to the fact that I would like to write you an email about some things that came of that conference that I think you would be really interested in. But...alas, I don't have any way of emailing you! I know you're very, very busy, but . . . if at all possible could you dot me a quick email at purpleviolet88@gmail.com? Blessings on you, Katie. You're an amazing picture of God working through an individual! Katie, we have definitely not stopped checking your blog. It was great to see your first post back in uganda. we are praying for you and hope that you are feeling well. What a beautiful thing having lovely little girls calling your mommy! OH KATIE!!!!! I am SO glad to read your words again! I read "oatsvall team's" blog to catch any news of how things were going while you were in the US, and I was blown away by the messages she posted telling how wonderful things went. I am so glad you had a productive time. Also, I am so glad you had a somewhat relaxing time with your family and friends. I am so so so so sorry you have shingles. Those are so painful and I don't think they ever do fully go away. That being said, I will pray that the healing power of the Lord and of God will be with you so the pain will be relieved and you can continue with the work God has called you to do. We love you, Katie, and are praying for you!!!! Katie, Still reading in Franklin. Hope you are feeling better and glad you are home with your children. thanks for writing. I live in Oregon and I am so blessed to have found your blog. My husband and I are so thankful and inspired by what God is doing in and through you. Your children are beautiful. I am praying for you! So good to hear you made it back. Satan, of course is trying to stand in the way...defeated once again..yeah. I got to see you speak at the Oatsvall's fundraiser and that whole night was such a blessing. Although we don't know each other, I so enjoy your blog and am always inspired. I will soon be your "almost" neighbor as I am moving to Ethiopia...but I'm still praying for Uganda !!! Yay Katie! So wonderful to hear from you. And so glad to know that you are feeling much better. Love to you and Kristin Laughlin...and your time together! Katie...I am so excited that you are back online! I have been checking your blogspot regularly and have been patiently waiting for your return! Thanks for your most recent post! Your determination is inspiring and your outlook is refreshing...so positive even in the midst of challenges! May the Lord uphold you with His righteous right hand! I am still reading them!!! Love you sister. I am so blessed by hearing the news of what the Lord has done with this ministry, just like it was my own. The body of Christ is SO important we are the church and we rejoice together with you today. Kiss all those little babies for us. Can't wait for your next post. Well I must be one of the two since I have been checking. ;) Welcome home! Haha...I can't ever imagine just 2 people reading your blog. In fact, I think I hear a collective sigh of relief that just circled the globe--Yay, she finally posted again! I don't drink coffee every day, but I DO check your blog every day :) Thankful you are happy and full...and back to blogging routinely! I am commenting to let you know that there are more than 'two' people that are reading your blog! I found you through Lesli Cryer's blog. The first day I read your blog I was in tears with a heart for those you are reaching...I now pray for you, your children and ministry every day and I think about you frequently and wonder about your life in Uganda. Blessings to you and so glad you are back to blogging! Welcome, home! So thankful that you made it back to Uganda safely, into the arms of your precious children. We've never met, but I feel like you're a kindred spirit. My mother emailed me several weeks ago and said, "Read this blog, it's about this Brentwood girl who moved to Africa and adopted a bunch of kids." And I thought, forgive me, "Girls from Brentwood don't move to Africa." So I ignored the email for a while, until the whisper of the Lord grew insistent. He kept saying, "I want you to meet Katie..." So I sat down and scrolled through your archives until I reached the very first post. And then I didn't move until I'd read that entire first year. Within about 12 hours, I'd read every entry and most of the comments -- weeping through so many posts, and praising Jesus even more. I am so inspired by you -- not that you've moved to Africa. Not that you started an incredible ministry. Not that you opened your life and your heart and your home to your 13 remarkable children. Not that you continue to feed and clothe and educate the least of these. Which is not to say that all of that isn't inspiring. But I find you inspiring because you are first and foremost a daughter of our King and Savior and you are committed to that relationship and share it with us with such honestly and tenderness and love. It is irresistible. And it has been such a blessing to me already, in the short hours I've known you. Words cannot express how thankful I am to the Lord for you and for your faithfulness in His call for your life. All of this to say, I just wanted to welcome you back and let you know that you have one more Tennessean thinking of you, reading this, and praying for you, your children, and the people of Uganda daily. I love your blog! I love to see how God is using you for His purpose. You and your family are in my prayers! Glad to hear of your safe return and of your trust in the Lord through good times and bad. May He continue to sustain your heart and your work! if there are only 2, i am 1. but i'm sure there are many. so sorry for the painful shingles, but so thankful you are back with your children and your ministry. Good to hear that you are back with your children. Yippee! Sorry about the shingles. We, too, are in a huge battle with the enemy. God is moving us into a HUGE step of faith to move with our children and go preach the Gospel. At the same time, we are in a unimaginable CRISIS with one of our adopted children. Every time we move forward in our new life calling ... the enemy throws another wrench into our Crisis. But, we will NOT be deterred. God has called, and we are moving forward. My family still reads!!!! We pray for you and yours every day. Be safe and know that you are loved and prayed for. So glad that you are back to your girls and that you are feeling better. I look forward to reading more of you making satan unhappy. Praying for you, your girls, and all you do! A friend of mine, who I spent 6 weeks with in Jinja when I was in college, told me about your blog last Sunday. In the past week I've read through your entire blog...from 2007 to the present. :-) I love your writing, your stories, your heart for God and His purposes for you, your children and THEIR hearts for him, your passion to feed and care for the children and I could go on and on. I just wanted to let you know that I am encouraged and inspired by you and am praying for you and all the lives God is using to touch and bless through you. Praying God continues to bless you and your girls and your ministry abundantly!! Katie--so great to hear from you!! We will continue to pray for your physical healing...... Enjoy your daughters!!! So glad you made it back safely! I've been waiting to hear from you. Praise God for the work that you are doing! Those children are truly blessed to have you as their Mommy! Praise God for all his goodness. So happy you are back with your beautiful children. I'm happy you made it back home safe and sound. So sorry about the shingles... but, so grateful for your heart! Next time I am in Uganda I hope I get to meet you. Both times I've been there, you have been here! Praising God for all He is doing through you. I am in awe of His faithfulness... it puts joy in my heart. Oh, I've missed you! So glad all is well. I am still a faithful viewer of your blog (and your friend's when you were away to keep updated!) God Bless you and keep you my friend-you are an inspiration to us all. Glad you're home safe and sound. I have been thinking of you, praying and regularly checking your blog and looking forward to your next update ever since your last one. Your journey through life is so inspiring and encouraging to me Katie and I cannot say how thankful and happy I am for you in what God has and is orchestrating in your life! Ohh..so sorry about your discomfort but I know that God is and will be glorified in all you are doing. Well you can add one more to the list of people who check your blog. I was just led here today and I’m so happy to meet you and am looking forward to getting to know you. You are such a blessing. ..."God in heaven we thank you so much for caring for Katie during her stay in the US. Thank you for all the incredible miracles you performed through her and those who helped with every fundraiser and all those people behind the scenes to bring glory to your name and awareness to your children who are suffering. We praise your Holy Name. We ask now that you continue to heal Katie from shingles...minister to her spirit at this time. Bring healing to her body and strength for each new day. We know that you are doing a mighty work and we pray for increased protection from the evil one who hates when we your children do anything in your name. We pray for continued financial support for Amazima ministries and everyone involved. Please pour out your spirit over all those involved in caring for the orphans and widows of this world. May we all be sensitive to your leading in our lives. Thank you again for Katie and her family and friends....in Jesus name I pray, Amen! Katie, welcome home!!! I'm SO SORRY you have shingles. My dad got them and I have never seen someone in so much pain. It was awful. Praising God it all happened exactly when and where it was supposed to happen. We'll pray for a speedy recovery. I'm sure there are some amazing wild plants around your home that are helpful to stop the itches. ouch!! I truly wish I could have made a trip to TN to see and hear you speak and see first hand God's miracles!!! I'm so happy you're blogging again... they are my day's delight when they pop up!!! I've been checking often to see if you were back! YAY! Patience did me well this time around. I'm sure many will get back to check daily for your postings. Glad you are well again. Although we've never met, I've missed your encouraging and inspirational words. We are so glad you are back with your girls and feeling better. Rest assured many, many, people have checked your blog constantly to see that you have arrived in Uganda and are with your daughters!! We enjoyed reading Renee's blog too. I was so excited to see that you are back in Uganda...though I'm sure it was such a blessing to see family and friends! My sister Kelly got to meet you in TN and I am $75 away from sponsoring one of your precious children. I would love to adopt one but for now, since we have five of our own, I will have to settle for sponsoring one. You have no idea how your words have impacted me...made me once again so amazed at how God works and how He loves the orphans. Please know my family's love, thoughts and prayers are with you and your little ones! Ok So if I am one of your 2 readers - welcome back to your children and so great to hear you are there again. No you have never met me and it feels weird to post but what you are doing, I find so beautiful and I truly wish I had the courage to do the same. The best I can do is read and follow your work . Katie dear, it was go good to see you here in Williamsport! I have been praying for your shingles to go away.I have missed your blog and have been praying for you and your girls...may God bless you and keep you safe and well! I am new to your blog. In hopes of feeling less like a stalker I thought I would at least introduce myself. A friend from my town shared your blog with me last week and God has really used it to move in my heart and get me thinking. I just graduated from college and am trying to figure out a direction. The more I hear about what you're doing, the more I want to do what you're doing. I am going to be praying for direction and until I get a clear sense of what that is, I will be "stalking" and praying for you and the ministry God has given you. Keep blessing God. Your posts are so entertaining, and I love reading about your children and all God is doing through you while you're in Uganda! My name is Erin, and I am a college student with mild cerebral palsy. I’m a special education major and have hopes of becoming a disability services director of a university after graduate school. I have just launched a blog that is still getting started, but with the title “Empowering People and Changing Lives,” I hope that it will provide a wealth of resources for people who care for children, specifically those who are affected by disability. I will also be chronicling some personal experiences and will be sharing some thoughts about those along the way. I am also extremely interested in international adoption, and I thought you just might be the perfect person to have some information for me! The blog’s address is http://empowerpeoplechangelives.blogspot.com. From there, you will be able to read the posts I have written, find out all about me, check out my blogroll, look at many resources I have gathered, and contact me. I am so glad to hear that you are better from the shingles and that you made it home safe! Gwen's garage sale went great today! Hugs, Kisses, and Prayers to you all!! i know of at least two people who have been checking on a regular basis : ) praying for you often, excited for your heart. Yeah! You're back!! :). Awesome post...thank you for sharing how amazing God is. My family & I pray for you and yours. katie, i just recently started reading your blog and i have been checking back daily. God is using you and your life to really remind me how things should be. i take His Grace for granted. thank you for your heart for Him and your sweet spirit. i look forward to following your journey. much love to you and your sweet children. You are so inspiring! I have only read a few of your posts but am going to read more. I am currently a graduate student in education and I honestly feel that the Lord is calling me to maybe work with children in a different setting, not sure where He wants me yet, trying to figure that one out!! It is so amazing to see what you are doing! I have been watching your blog for some time and I wanted to let you know that I pray for you and you inspire me to seek God more deeply and radically than ever before! Keep resting in Him. and will continue to tell others about it. You have blessed me in knowing that one person that follows the call of God can do something significant. You have challenged my status quo of thinking. THANK YOU! I need it. I look forward to keeping up with you through your blog and praying for you. I will particularly pray for the safety of you and your girls and that the Holy Spirit will guard you from the enemy and his tricks and the evil attempts to derail you. Again, thank you for your message and your ministry. I just recently found your blog and have been reading earlier entries. Just wanted you to know that you and your children are in my prayers. I have been telling lots of people about your ministry and the awesome work that God is doing. So glad you are safely home, and thankful for all you have done while here in TN! We were at the dinner on the 17th and I just wanted to tell you how blessed we were to be part of what God is doing. Our hearts were touched, changed, and made ready for His next adventure for our family. God is guiding us, after 4 domestic adoptions, to seek out another. The faces of His precious African children are ever before us as we pray. Glad you made it back. I'm sure people are still checking the blog...I know I am. I grabbed your button and added to my new blog and Gwen is a new-found sis. We are praying for you Katie. My kids think their little sister is somewhere among you! May we seek His face! AHHHHH Katie we are still here and have missed hearing from you. Glad you are back home and hopefully healing, i'm sure life is busy and that the children missed you. I'm sure they are showering you with love. 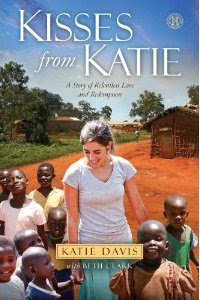 Katie, I have been following your amazing blog for awhile now and am so proud of you. I am a pharmacist, and wanted you to be aware that there are prescription meds that can lessen the effects of shingles if you start taking it as soon as you have been afflicted. Once someone has shingles, they are prone to having them again. You might have your parents talk to your stateside doctor and send a filled prescription to you to keep on hand. It will save you hours of pain by acting proactively if you should get shingles again. Many people get them about once a year or so, but others get them much more often. I have been checking your blog obsessively too! :-) Awesome to hear about the fundraiser, and that you are healed, and even more about your homecoming. As Linn would say, "YIPPEE JESUS!!!!!!!!!!!!!!!" Sending big ((((((()))))))s for you and your precious kiddos and praising God for all He's doing through you! Your inspiring faith is insane. You have no idea the impact that you have had on my choices and life. Blessings will pour on you like rain. Your obeidience is phenominal. You are loved and prayed for. Katie! I heard about your blog from a girl named Grace at a Set Apart Girls Conference by Eric and Leslie Ludy. Having such a heart for orphans, I was instantly drawn to your blog. I love reading everything God is doing in and through you and am greatly expectant to see His will fulfilled in my life. So anyways, keep posting, I am a faithful reader and prayer! I don't know you, but I love you and your heart for the LORD and your heart for orphans! God be with you and strengthen you, my prayers are with you. So glad to hear you are safely back with your family. Continuing to pray for you. I was sent your blog from a friend as I just got back from Uganda. I understand missing it when you aren't there! Keep on in the knowledge that He who called you is faithful. I'm praying for you and yours. I have so enjoyed your blog. My friend who lives near Nashville sent me the link. What an amazing minstry God has given you! I will pray for you and the beautiful children God has entrusted to you! I am so inspired by your desire to do the will of God. It truly encourages me that it is totally possible to follow in obedience! May the Lord continue His work that He has called you to do! i have subscribed to your blog, so i don't have to keep looking.. it automatically pops up in my dashboard!! Found your blog a few days ago, and have read it from beginning to end. Amazing. Thank you for sharing your part of God's story. Will be praying and supporting you and telling others to visit this blog. You could not possibly get to read all the comments with the tasks ahead. But know that we will continue to pray for the safety of your family, and the grace, peace, and glory of Jesus to chase you until you come back to the US again. Welcome Home, Katie. So glad your time in the US was successful and that you are recovering from your attack of shingles. Love that you find the blessing in the midst of the course - so much power in that! God is GOOD - all the time! :-) Praying that He continues to give you every single cent and ounce of energy you need, my Friend! Praise God you are safely back in Uganda! Your children must be thrilled!!!!
" Don't be afraid or discouraged.. the battle is not your battle, it is God's. Just stand strong in your place and you will see the Lord save you... Don't be afraid or discouraged, because the Lord is with you." I will be praising Jesus and thanking Him for all that He is doing with this ministry and for how He is watching over you and your girls. love your heart, compassion, and obedience. 91 comments and counting....your work goes so far beyond the children of Uganda. Praising God you continue to answer His call - over and over and over again. The Center of His Will is an amazing place.